Sounds fancy, huh? So I decided to play around and compare a HammerDB TPC-C workload played against a 2012 database versus that same workload against a 2014 version of that database. For those that do not know, HammerDB is a free open-source benchmarking tool that can be used on a variety of RDBMSs. Surely HammerDB will perform better with the new and improved 2014 Cardinality Estimator (CE), right? Let’s see. 2. Next, I took a backup of the tpcc database. 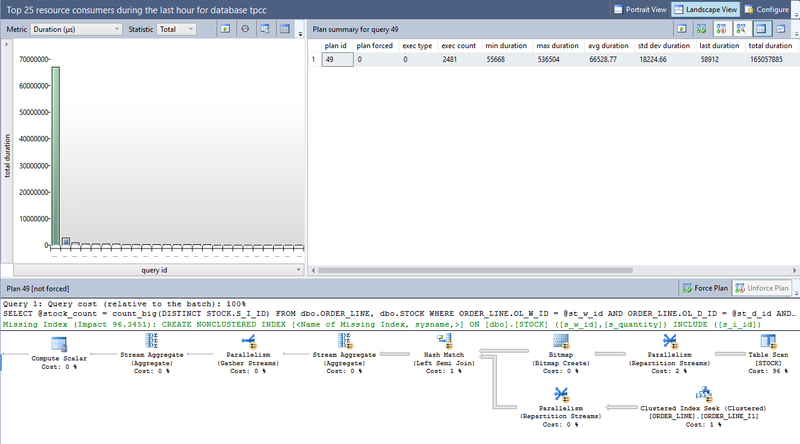 This allowed me to use the same starting database for each test, without having to use HammerDB to rebuild it. --Be sure to set the database compatibililty_level up to the newest version! 5. Time to setup PerfMon. 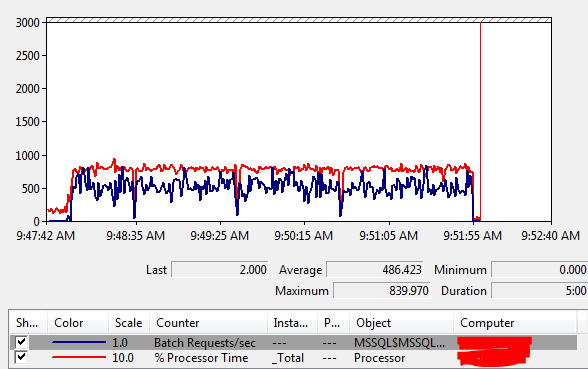 I used PerfMon to capture ‘Batches Requests/Sec’ (separate counter for each instance) and CPU Usage. These two metrics give a good enough idea of how the workload is performing. 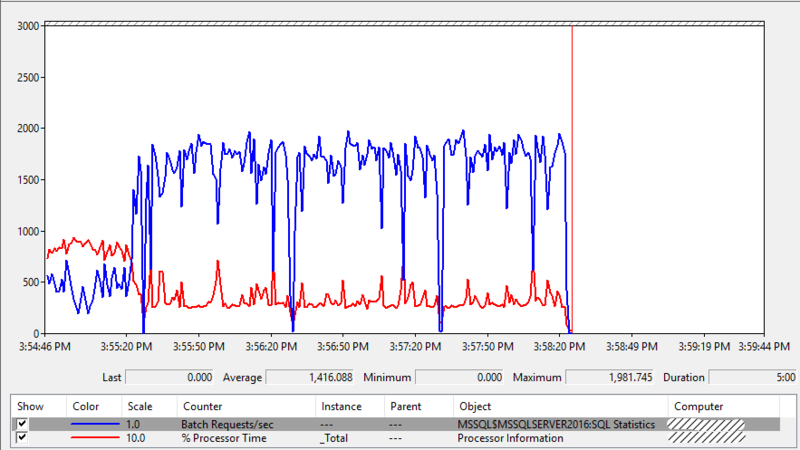 I set the Scale for ‘% Processor Time’ to 10.0 to make it easier to view compared to Batch Requests/sec. In our scenario, this is how our application performs pre-upgrade. This is the performance baseline. After upgrading to 2014, these are the numbers we want to try to hit. Let’s point the application at the upgraded 2014 database and see what happens! Uh Oh! After the upgrade our CPU Utilization has more than doubled and our application throughput has decreased by over 70%! If this were in production, users would be looking for heads to roll. What gives?! I thought 2014 was supposed to improve performance?! Well, let’s see if we can figure out what happened. 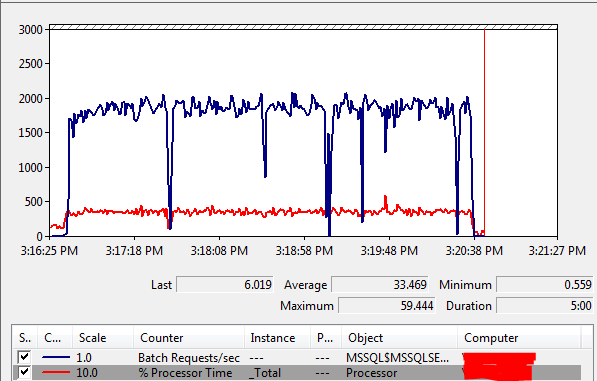 Because CPU usage was so different between the two workloads, the first thing I decided to do was to query sys.dm_exec_query_stats and compare query statistics based on which queries used the most CPU time (total_worker_time). Right away, the query using the most total CPU on the 2014 instance jumps out at us. 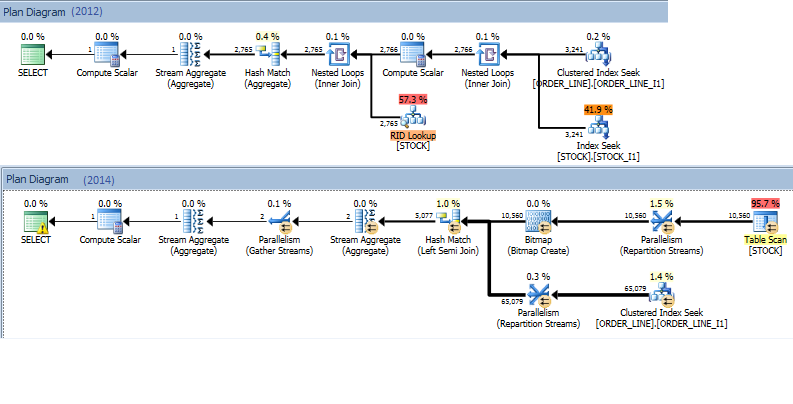 You can see the difference between the query on the 2012 instance and the 2014 instance. 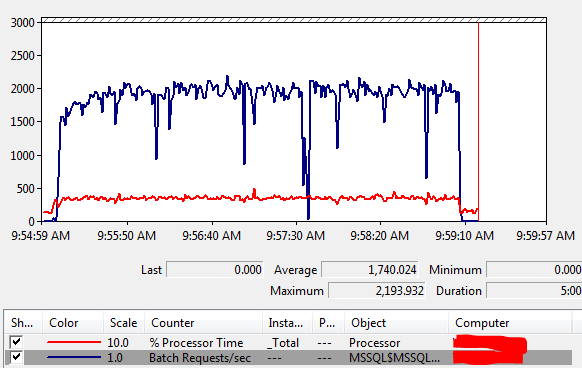 But why is the query behaving differently? Let’s check the execution plans. So, the query went from doing an Index Seek + a RID lookup on the STOCK table in 2012, to a parallelized table scan (with a missing index hint) in 2014. Luckily for us, the problematic query belongs to a stored procedure created by HammerDB called SLEV. 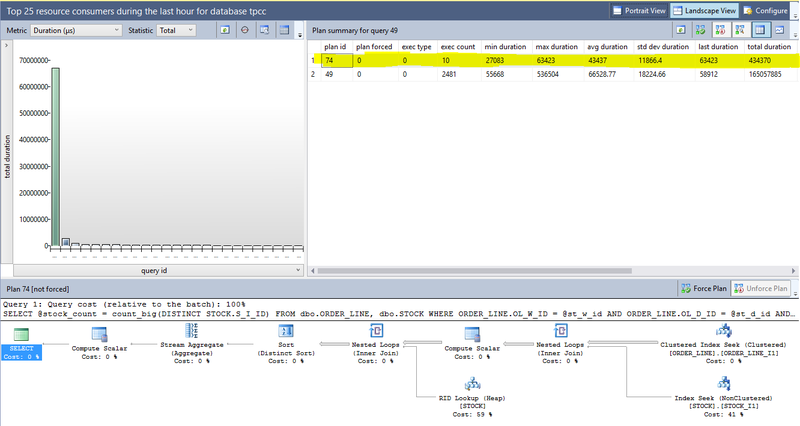 This means it will be pretty easy to modify the query since we can directly edit the stored procedure on the database. So, we can use Trace Flag 9481 to bring back the old CE. This trace flag can be enabled globally, or at the individual query level. This allows us to fine tune certain queries where performance may have degraded since the upgrade, without affecting queries that may have actually improved with the upgrade. We can place “OPTION QUERYTRACEON(9481)” at the end of the problem query inside the stored procedure to revert just that query to the old version. Hopefully this will get our HammerDB workload back to acceptable performance levels. Now that the trace flag is in the stored procedure, let’s fire HammerDB back up. BOOM! 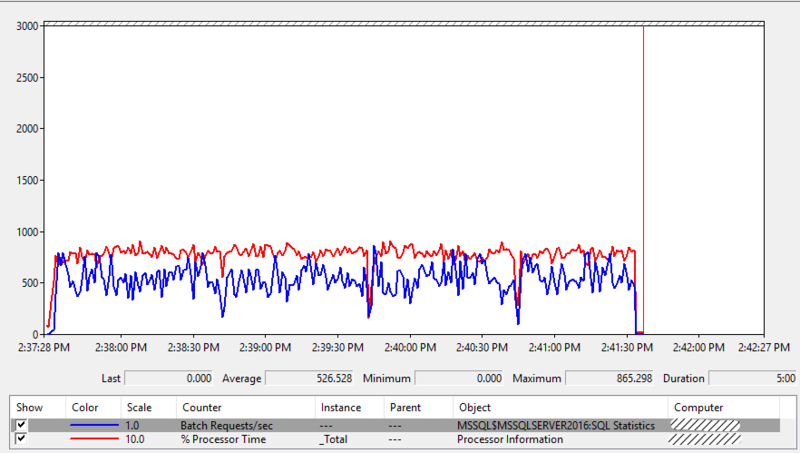 HammerDB throughput is back up to the same level it was at before the upgrade, CPU on my laptop is back in the 35% range, and the query’s statistics are back to the legacy CE levels. End users are rejoicing! I’ve simply shown one way to fix the problem query in HammerDB. There are other ways this could have been handled, but the trace flag Microsoft introduced makes it very easy to quickly revert queries to the legacy CE to ‘fix’ performance. 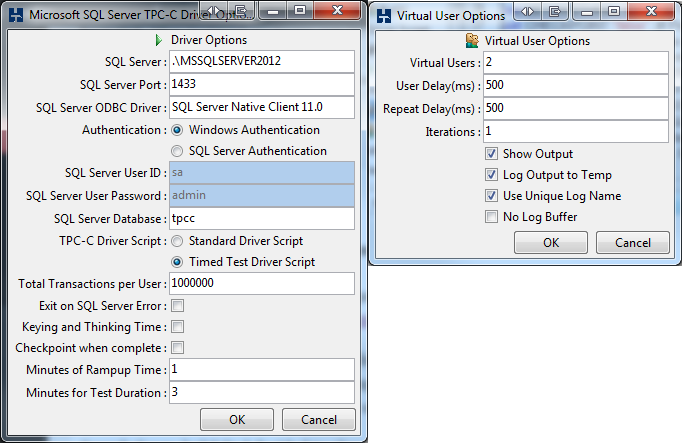 It is very important to always test applications, workloads, or queries before fully upgrading to SQL Server 2014. To make the upgrade process easier on yourself, take some time to get to know your workloads (application throughput, query performance, etc.) before the upgrade ever takes place. With a good baseline for reference, it makes it much easier to compare performance post-upgrade. A single bad query can bring the entire application to its knees. The new Cardinality Estimator will most likely do much more good than bad for queries, but there will always be edge cases where performance declines.